What is multiple sclerosis? Multiple sclerosis (MS) is an inflammatory and potentially debilitating disease in which the insulating covers of nerve cells in the human brain and spinal cord are impaired. The body’s immune system eats away at the protective cover (myelin) that shields your nerves. The damage caused by the disease can disrupt the capacity of parts of the nervous system to communicate correctly together, resulting in a wide sorts of signs and symptoms, including physical and mental problems. Multiple sclerosis can take several forms, such as relapsing forms (where symptoms occur in isolated attacks) or progressive forms (where symptoms build up over time). Even if between attacks, the symptoms can go away completely, long-lasting neurological problems often occur, especially as the disease progresses. The subsequent brain damage ultimately results in long-term disability. Because the disease can cause multiple sites of damage throughout the central nervous system, patients will experience a wide variety of symptoms. One of the most common is the impairment of cognitive abilities and cognitive fatigue. Cognitive impairment, including impaired memory, attention, processing and executive functions, affects up to 65% of patients who have MS. Short-term memory, which is the ability to recall information that has been acquired only a brief time before it must be retrieved, is most often affected. In a recent study, which compared two groups of people with MS, CogniFit's brain fitness program proved successful in improving three memory domains among the people who trained with it, as compared with those who did not. The areas that showed improvement included working memory, visual short-term memory, and general memory. 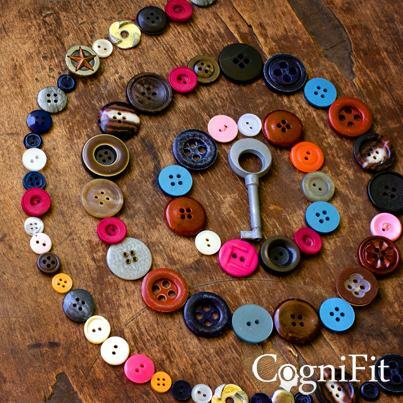 The key to CogniFit's brain fitness program's success appears to be its ability to provide focused training in both visual and short-term memory.